Chad has been at the helm of some of the world’s finest sailing superyachts for over 15 years. 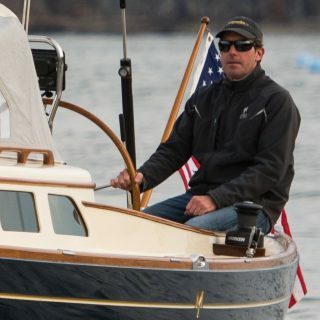 As a Class IV/3000GT Captain with a degree in Maritime Business pursuing his naval architecture studies, he brings his hands-on knowledge and experience working with owners, designers, and shipyards globally here to Maine. He can think of no better place to come ashore than Mount Desert Island and enjoys paddleboarding, kayaking, hiking and cycling Acadia with his wife and daughter.